It’s been one thing after the other around here. Smokey the Cat quit eating for mysterious reasons maybe related to her pancreas and maybe not. But the result is this: fur tinted yellow by jaundice and bones. We didn’t see how skinny she was getting for awhile because of her long fur. The vet implanted a feeding tube into her neck and assured us that her prognosis was good, but it appears hopeless. Tomorrow may be her last day. Meanwhile, the 10-month old puppy continues to find new ways to wreak havoc. She has been systematically unraveling the carpet insert in the living room. I have run out of options for furniture placement to hide the damage. She ripped off the face of my old Raggedy Ann doll that had fallen from a tall shelf. School has begun for my youngest two kids. The oldest two are sort of staring blindly into the future, unsure of what do next. Jobs, school, and driver’s licenses are in their futures, details to come later. I have been reading again. For awhile, I couldn’t manage to focus enough to read, but now I’m back in a rhythm. 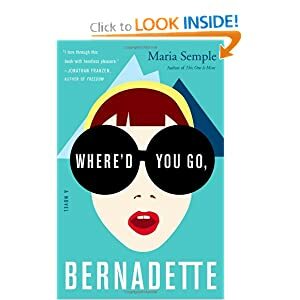 I really enjoyed Where’d You Go, Bernadette? The setting was Seattle, the story amused me, the writing was excellent. 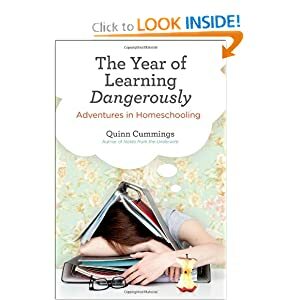 My blog friend, Quinn Cummings, wrote this new book about homeschooling (and her life) called The Year of Learning Dangerously: Adventures in Homeschooling. She’s such a smart, entertaining and funny writer. I can’t wait to see what she writes next. 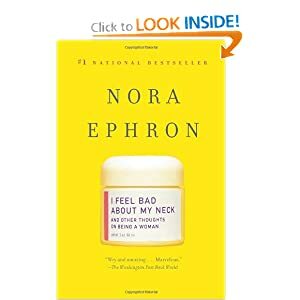 Now, I’m reading Nora Ephron’s book, , I Feel Bad About My Neck: And Other Thoughts on Being a Woman. I’m reading it in her memory. It’s a quick and entertaining read. Before all this, I read A Prayer for Owen Meany. I really got bogged down in that book, but by the second half, I was racing through it, watching in amazement as the pieces all came together and the story unfolded. John Irving is such a master of fiction. I finished it, cried, and then, most embarrassingly, recounted the plot to my husband and BURST INTO TEARS.